The Ambitious Ales crew when they officially began leasing the space in Bixby Knolls. Courtesy of Garrett Carroll. Photos courtesy of Garrett Carroll. Above: the Ambitious Ales crew stands in front of their soon-to-be location. It could very well be that Bixby Knolls will soon be known as Brewery Knolls. Shortly after the opening of the vastly underrated Liberation Brewing Co. (LBC)—seriously, Long Beach, LBC is the antithesis to most brewpubs, eschewing an overwhelming menu and sticking to a stellar selection of a handful of beers, all the while exuding a chill factor that makes it less pretentious and rowdy than its counterparts—it turns out the neighborhood will be getting a new drinking buddy up the street. 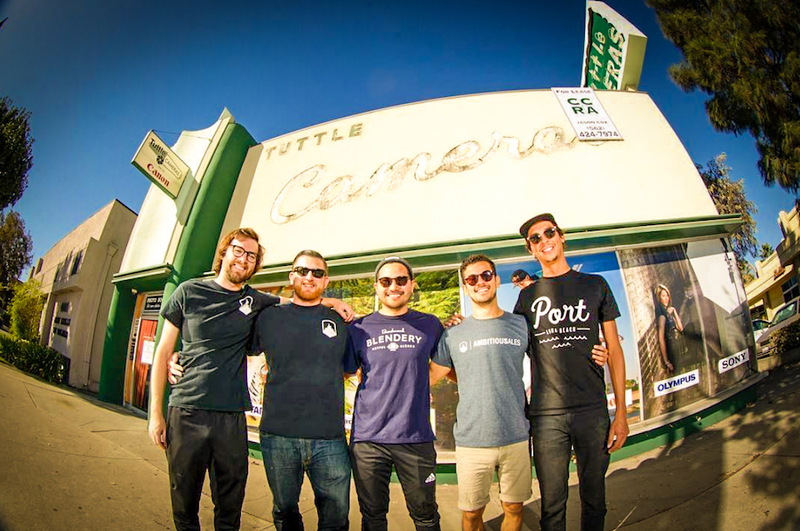 Ambitious Ales, taking over the (already missed) Tuttle Camera space at 4019 Atlantic Ave. and having their permits thoroughly approved to operate, is set to open this year. The crew will be bringing a more beer-centric flavor to the neighborhood as they join other existing staples like Rasselbock and Dutch’s BrewHouse. And like LBC, Ambitious brings a history with them that stemmed out of a home-brew operation back in 2010 after being inspired by experiences in at the beer mecca known as the annual Oregon Brewers Festival. Owner Garrett Carroll had spent well over a year in Anaheim searching for a location for Ambitious, only to keep coming up with bad locations or even worse landlords. But with Long Beach’s impressively open approach to catering to new breweries, Carroll and his crew were led to the mighty shores of Long Beach. And after five months of searching, the charming space once occupied by Tuttle lured them in. Carroll is unapologetically romantic about what beer is in a community, dubbing it a “social connector and lubricant” while noting that pubs and tap houses were, like the caffeinated morning counterparts that are coffee shops, epicenters for gathering humans—something they learned and appreciated as a business-driven philosophy while they became more educated in brewing. Now, Ambitious ales has a home that will host a 10BBL brewing system pieced together from different breweries tanks and manufacturing equipment from all over the US. 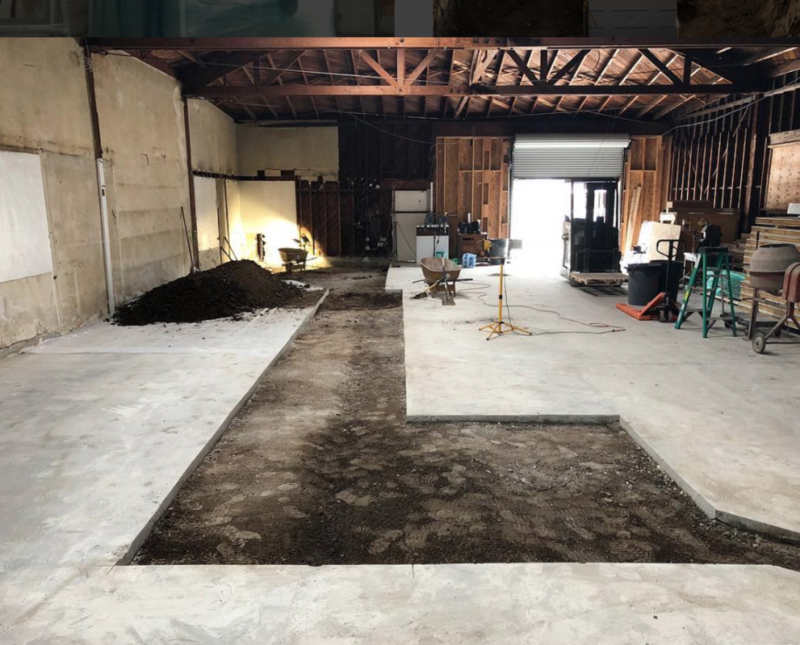 Joining the equipment will be a tasting room and patio where Ambitious will offer a core lineup that includes IPAs, saisons, barrel-aged brews, infused beers, and more. “Our core lineup is our attempt to reinvent classic beer styles with unique ingredients that intrigue craft beer enthusiasts and engage those new to craft beer,” Carroll said. Think Belgian table beer with chamomile, lavender, and strawberries. “Ambitious Ales is very excited to be part of the evolution of the Bixby Knolls and Long Beach Beer movement,” Carroll said. Ambitious Ales is located at 4019 Atlantic Ave.